The National Trust is famous for its great places and the beautiful properties in our care, we’re also quite famous for our fantastic Food and Beverage outlets. The role of Food and Beverage Manager is quite varied. In some places, this can mean looking after one Food and Beverage outlet in a very large property, or a few Food and Beverage outlets in smaller or less-busy places. The Trust employs over 2000 food and beverage staff at over 300 outlets nationwide, we’re committed to focussing on staff journeys and developing our people in roles that are dynamic and diverse. 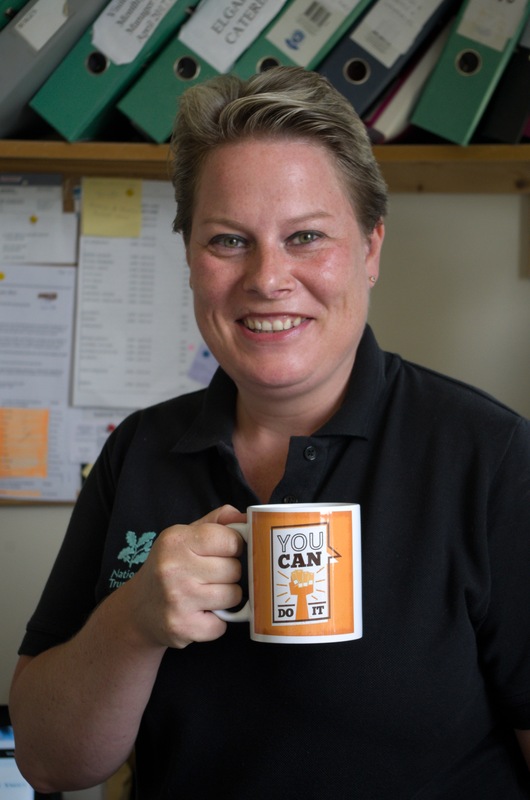 We recently caught up with Jayne Bosley, Senior Food and Beverage Manager for South Worcestershire to discuss how her career has developed with the National Trust over the last 7 years. Where did your career with the National Trust first start? I started around 7 years ago at Croome in the wash-up. I came in as a temp and from there I progressed to prep in the kitchen, originally being in charge of the sandwich station, where Katie Lindsell was my boss. How have you found your career has developed over the past 7 years? After a few years, I came back to the 1940s cafe as an Assistant Food and Beverage Manager, looking after the Front of House. In the 7 years I’ve been with the Trust, I’ve gone from a temporary role to being made the Food and Beverage Manager for South Worcestershire. It’s a great progression and I’m always telling my team they can do the same. The key to my success was having a really good team to work with, they totally understand our values and behaviours when it comes to representing the Trust. What is your secret to staying motivated? Having a great team to work with! I’m really passionate about inspiring my team. I’m passionate about Croome in general because it’s such a beautiful place and it holds so many special memories. It gives me great pride to work here. We’re really good at retaining staff here at Croome, many of the team have been with me for years. I have the dream team! Strong leadership inspires the team. I wouldn’t ask them to do anything I wouldn’t do myself, and they know that. I believe in developing them and regularly sending them off for training in other areas to broaden their horizons. I’m lucky that I have some really dedicated staff, that’s down to the nurture we give them and our commitment to their goals and career development. We live and breathe it and we want to inspire future caterers! What are some of the challenges you’ve faced throughout your time with the Trust? We've faced many challenges, but luckily we have a really good General Manager who is open to ideas and suggestions. 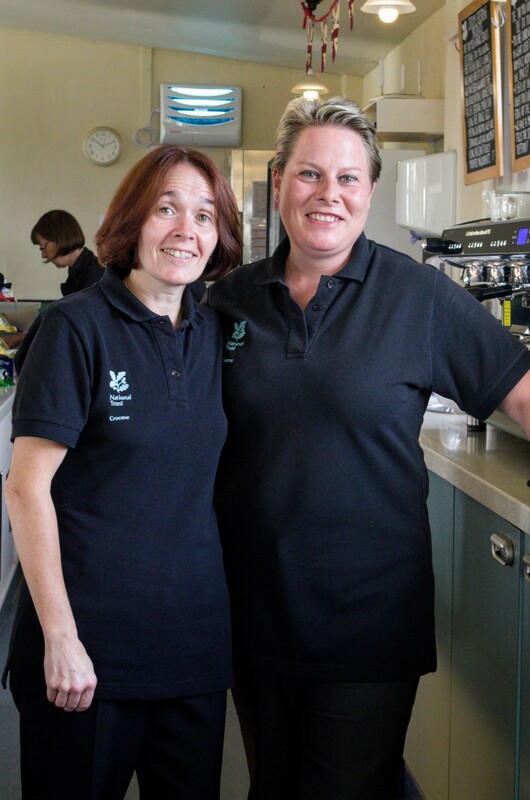 Although the cafe here at Croome can get very busy, we’re still dedicated to delivering the best experience possible with exceptional service every time, for everyone! We’ve just had our Bronze Level Soil Association accreditation, and we’ve installed a new counter to ease the queueing at peak times. We aim to leave lasting memories on people’s hearts. I’m aiming for Croome to be one of the best visitor attractions in Worcestershire, if not the whole of the UK! What advice would you give to your staff or someone just starting out? I have a motto: “We can do this!”. You ask any of my team what’s Jayne’s motto and they’ll say, “we can do this!”. Success is driven by the desire to succeed, the world is your oyster, cheesy but true! Give your staff good training and include them in decision making. Always question the norm. Have a sense of pride in everything you do, and work in harmony with your team. Tell our story. That’s the bottom line. Leave those lasting memories on visitors’ hearts by being passionate about telling our story.